When is it fair to say a Home Renovation Project was Transformational? 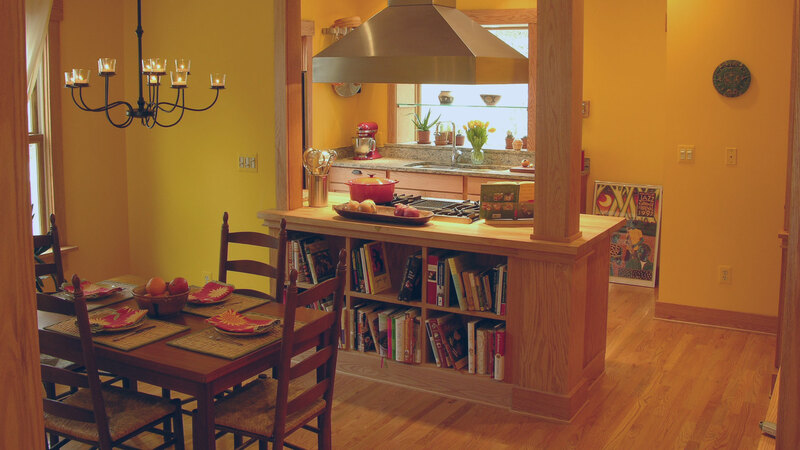 This can be debated, but everyone would agree that the bar is very very high when we use the term Transformational to describe a home renovation. 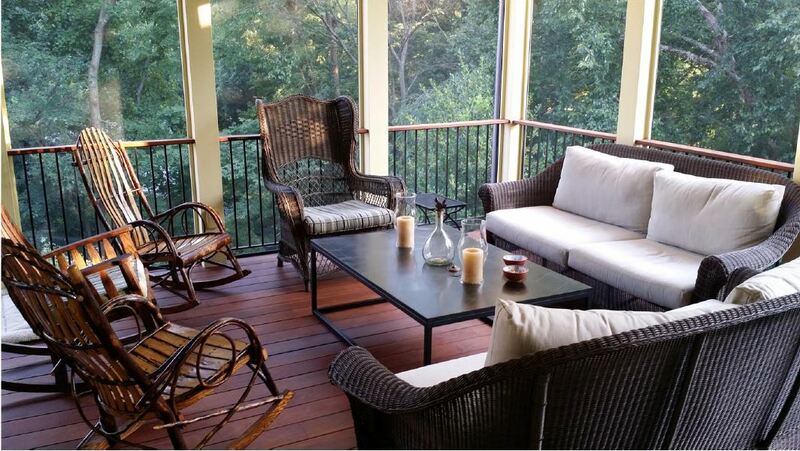 Our project required the addition of a Screened in Porch to the back of the house. The house is in Takoma Park Maryland which is very hilly. When you visit our home, you walk in on the ground level and by the time you have walked 40 feet to the back of the house, you are 15‐20 feet off the ground since the property slopes rather steeply. 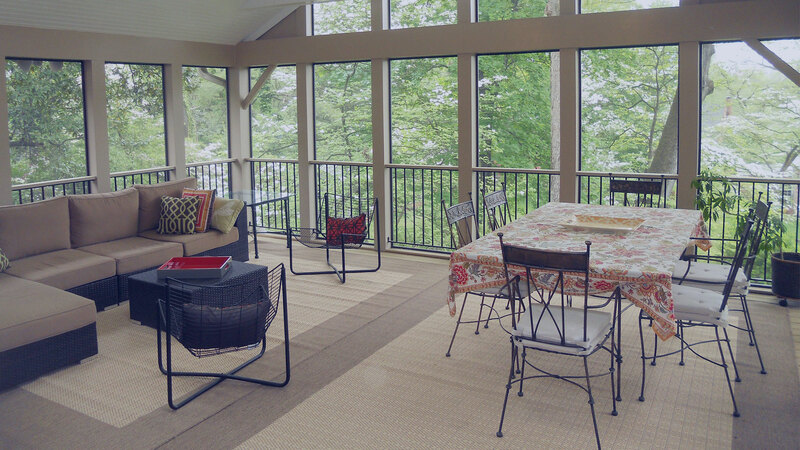 So when we asked Rick Vitullo to design a screened in porch, we used terms like Tree House and Sky Pad, because the porch would be 20ft off the ground, surrounded by Trees, with many birds flying by. Growing up in Vermont, interacting with nature was a important part of our lives. This porch, surrounded by trees on three sides puts us closer to nature’s splendor. We hear many songbirds, and even owls at night. We see bats swooping at dusk and fireflies dot the trees. And we have a space for breakfast, dinner and hanging out with friends that is truly special. For these reasons, we feel our project was Transformational and has literally increased the quality of the time we spend with our family and friends. We selected Rick Vitullo for the project for two reasons. 1. 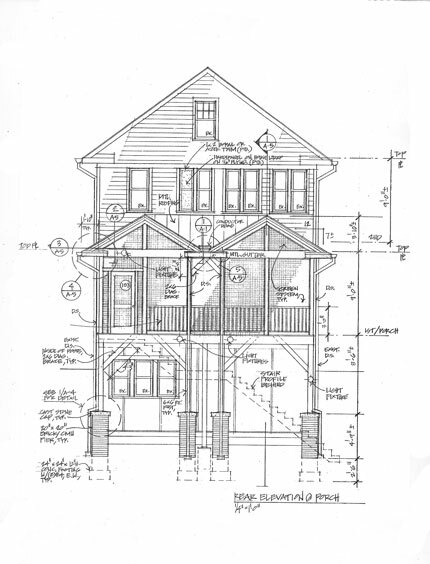 He is a very well respected Architect in our area of Takoma Park. 2. He is known for working with homes on the Historic Register and is superb at blending a new renovation with the historic style of the existing home. We found Rick very easy to work with and he would bring great ideas and would tailor them to our particular tastes. We also asked Rick to go beyond the typical drawing package and assist us with the specific material and finish selection and he obliged. In summary we could not be happier with our new living spaces and were extremely satisfied with the value and professionalism Rick brought to the project. I would unconditionally recommend Vitullo Architecture Studios. 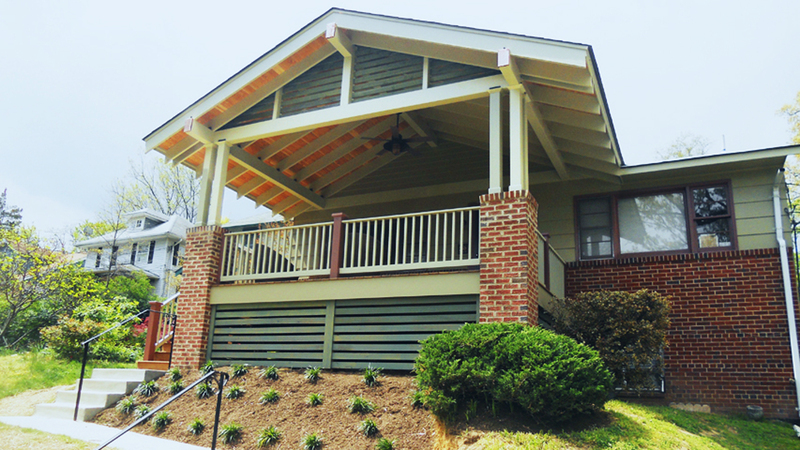 "… we love living on (the porch)! You did a beautiful job. We couldn't be happier!" “Rick was very easy and pleasant to work with. He had many ideas of his own but was also happy to listen to and work with our own ideas. Being in a historic house in a historic district, we were very concerned about the process of historical permits and approvals. Rick handled all of that with ease and we didn't have to worry about a thing. He was always available to talk over changes and come up with new ideas as the construction was in process. As for our house, we have a small house and had to work on a tight budget. 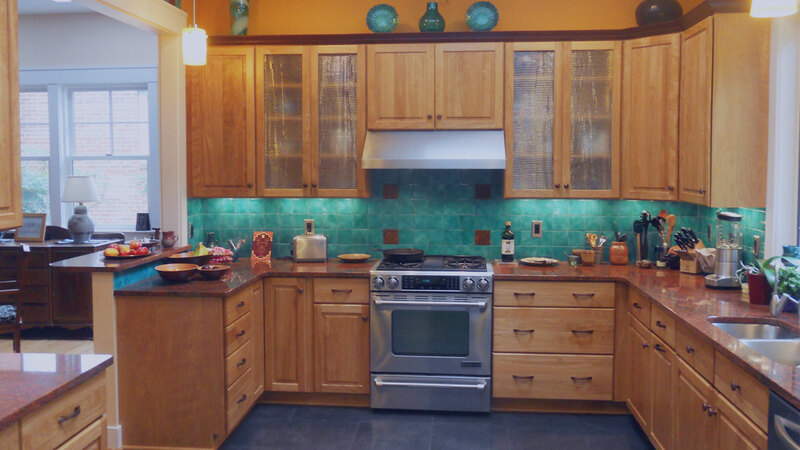 The small renovation that Rick designed has completely changed the look and flow of our house. As one friend (and an architect herself) commented, "This is how this house was always meant to be." “I'm happy to provide my thoughts and strong recommendations for Rick Vitullo. I found him very easy to work with, very responsive to questions and feedback, and entirely willing to re-think his designs after constructive feedback from us. We did a whole-house renovation, which involved changing the use of nearly every room in the original floorplan, without changing the footprint of the house. His designs were innovative--transforming closets into hallways, and creating intelligent, useful, and logical pathways that truly transform a house into a home. He even managed to find a place to put a small but functional coat closet near the front door, which, if you live in a bungalow, you can recognize is a true design feat. He is wonderfully creative when given the opportunity. For example, we requested a special space for our son, who was 7 at the time of the renovation. Our parameters were: "something that a 7-year old would love, but in which a teenager couldn't do drugs." He came up with a fabulous "hidey-home" which has already gone through several use iterations and remains one of the highlights of the house. My approach to design was extremely compatible with Rick's. He took the time to listen to my needs and desires prior to beginning, and was able to transform my musings into practical realities. I trust his knowledge and expertise, and was therefore willing to accept his suggestions easily and with no regrets. The kitchen he designed for us surpised me in so many ways. He moved all of the appliances to places that I was not expecting, being totally unbound by their original locations. Instead, he created a space that is both beautiful and functional. He was also receptive to my requests for design changes based on my own needs and peculiarities. The one-storey house we purchased originally has been transformed magically into a two-storey home. When we purchased the bungalow, I knew that there was something truly special hidden in its old bones. Rick, who himself lives in a home that is exceptionally respectful to the bungalow concept, understood immediately my need for more space balanced by my need to stay true to the roots of the original architecture. I could not have picked a more suitable architect for my needs. Not only is our home comfortable and spacious, it adapts to the needs of our family as our son grows. Thus, it continues to remain my favorite place to spend time. One of the reasons for that is the final service that Rick provided--expert color consultation. All my life I have lived in houses with white interiors, and I was determined (but terrified) to make my home colorful. When construction was nearly complete, Rick accompanied me to Benjamin Moore, and in the space of an hour, helped me pick all the fabulous paint colors that now embellish and complete my home. And if that were not enough, as a Christmas present, he gave us one of the renderings that he produced during the historic approval process. It hangs in a place of honor in our entrance, a tribute to his art and his artistry. Although I have no current plans for any more construction, I would gladly and happily choose Rick to guide me through this process a second time.